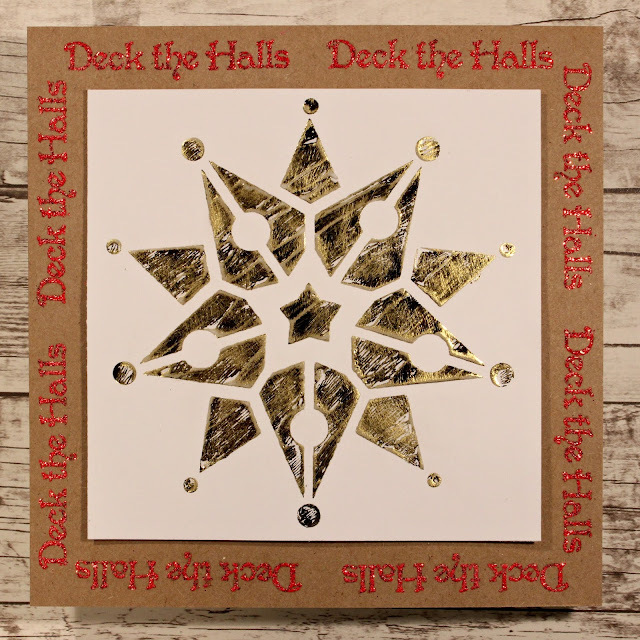 Cassandra here today sharing a distressed foiled card. I must say, I seem to have a thing for the bling of glittery foil so far this season in my card making. I paired the foiling up with some glitter emboss and added a bit of sanded distress to it to go with the rustic appeal of the kraft cardstock. 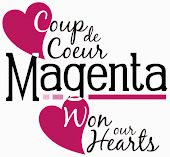 I started with a 4 1/4 " square piece of cardstock which I applied Decofoil heat transfer gel with the new release Star stencil. I set it aside for about an hour to dry. 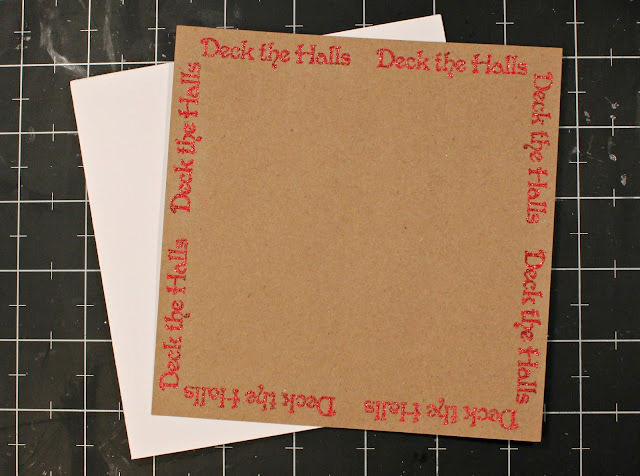 While the star was drying, I cut a 5 1/2" square piece of kraft cardstock and using a stamp positioning platform, I stamped the Deck the Halls stamp with Versamark ink. The stamp set up for this is really quick and easy as you only have to position the stamp twice; once at the top left, and once at the top right. Once you have set a position, you simply rotate the square each time after stamping thus, four rotations for the left position and then I heat embossed it. Placed it back in and positioned for the right top side, and repeated by stamping and rotating four times and then heat embossed that set. Next, I adhered it to a card base. 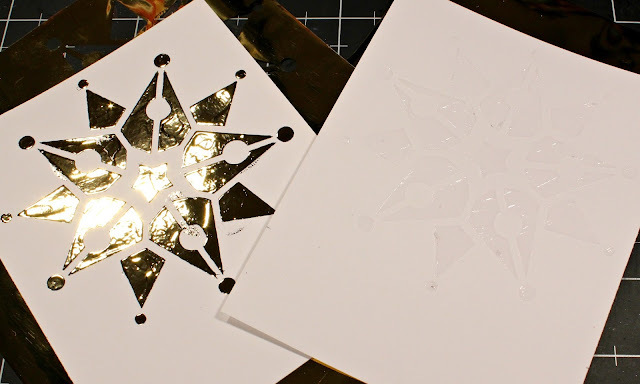 Newly foiled star on the left and one with the dried transfer gel on the right. Then, I went back to the now dried star, placed it in a piece of folded parchment paper and placed that sandwich on a thin piece of chipboard to run it through my laminating machine (you could also use an iron). Next, I peeled away the foil sheet and revealed the foiled surface. Then, I decided to give is some buffing with sandpaper to distress it before adhering it with foam tape on my base. I am really pleased with how this one turned out. If you give the heat transfer foil technique a try, be sure to share it either in our Facebook fan group or on Instagram. I would love to see what you create.